Successfully Added Cagabi One Android Smartphone - Quad Core CPU, Dual SIM, 720P 5 Inch Display, 8MP Camera (Blue) to your Shopping Cart. The Cagabi One may have its sights set on the cheap smartphone market but looks and feels much more like a top-range handset. A full metal body, eye-catching design, and 2.5D glass give this smartphone an impressive look and feel while setting it apart from other cheap phones. With a 5 inch screen and capable Mediatek MT6580A chipset this Android smartphone is sure to win over a large following. It runs on an Android 6.0 (Marshmallow ) OS so you get a capable and familiar operating platform that is easy to navigate and has loads of extras. The IPS display brings 720 x 1280 resolutions, which works out at around 294ppi pixel density. The result is a bright clear image that's a visual feast for the eyes and makes games, movies and surfing the web fun and rewarding. The quad-core processor clocks at 1.3Ghz and runs alongside a Mali 400 GPU. There is 1GB of RAM and 8GB of onboard storage for all your pictures, apps, files, documents games videos and more. The presence of a micro SD card slot lets you extend the memory to accommodate up to 32GB of extra data. When it comes to connectivity the Cagabi One has two SIM card slots that are compatible with 2G and 3G (WCDMA )frequencies. Added to that are Bluetooth and Wi-Fi for easy data transfer, syncing with other devices and faster download speeds. 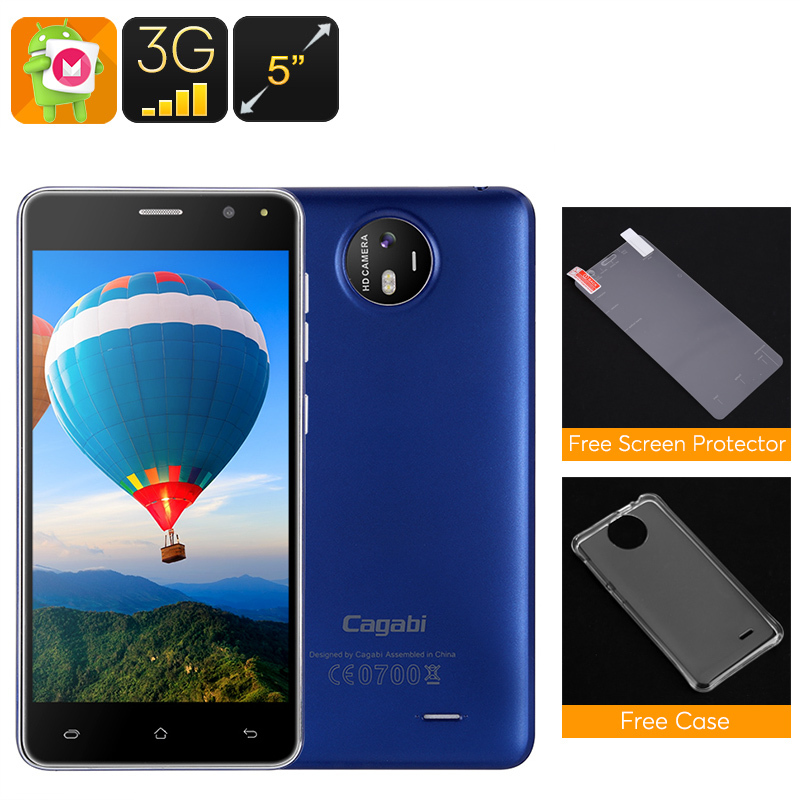 The Cagabi One smartphone comes with 12 months warranty, brought to you by the leader in electronic devices as well as wholesale Android smartphones and accessories..